With over 300 hectares of skiable terrain, there is something to appeal to all levels of ability. Our runs range from the wide beginner’s slopes of Bourke St and Burnt Hut Spur, to the challenge of our black runs like Chamois. With 22 lifts, Mt Buller has the largest lift network in Victoria, including thirteen chairlifts (fourof which are high speed detachables) four T-bars, two rope tows (counted as one) and four magic carpets. The resort features three Terrain Parks designed for all skill levels, with a dedicated snow grooming team to maintain their condition. The Mt Buller Village is situated picturesquely at the heart of the mountain, offering ski in, ski out accommodation and a huge range of bars and restaurants. With a wide range of accommodation to suit all tastes and budgets, there is something to cater for all needs. Over 35 bars and restaurants provide a range of delectable treats, from quick snacks to fine dining and a choice of nightlife options. All overnight visitors are required to carry chains at all times as weather conditions may change unexpectedly throughout the evening. Mt Buller's wheel chain requirements are decided on a daily basis and are determined by weather forecasts and existing road conditions. Chain requirements may vary between 2-wheel drive (2WD) and 4-wheel drive (4WD) and All-wheel drive (AWD) vehicles, as each of these types of cars react differently to snow and icy road conditions. Departs from Melbourne Spencer St & Melbourne Tulllamarine Airport. Departs from Melbourne Spencer St & Melbourne Tullamarine Airport. Departs: Melbourne - Please note chain pick up is in Mansfield. 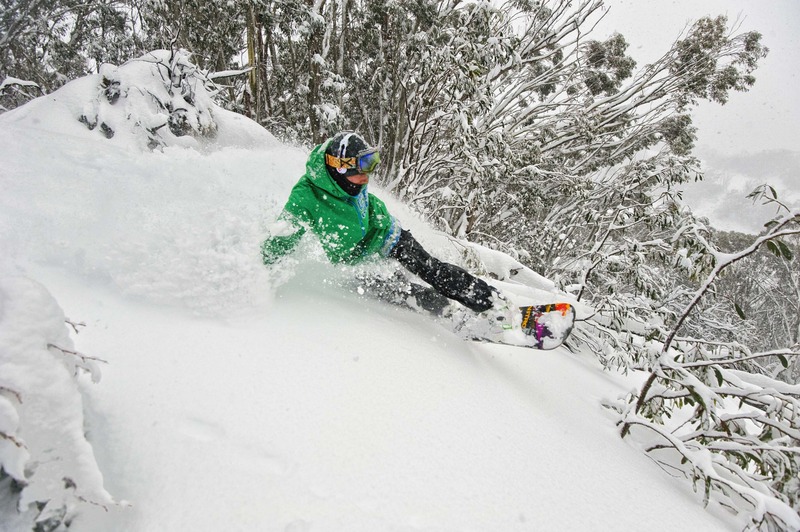 Throughout the declared snow season you must pay a resort entry fee to access Mt Buller or Mt Stirling. Resort Entry covers entry to both Mt Buller and Mt Stirling, providing you with an easy way to see each mountain. All vehicles entering the resorts must display a valid entry pass. $58 per vehicle or $46.40 online. Taxis: Once you have parked your car in an overnight car park, you can catch a 4WD taxi to your accommodation in the Mt Buller Village. Taxis operate 7am-midnight daily. For out of hours service, booking is required an a fee will apply. Pricing from $36 per adult return & $18 per child return. Day Visitors: Once you have parked your car in the day car park, you can jump on a free shuttle bus that will take you up into the Village centre. Shuttle buses operate from 8am-6pm daily. On arrival please proceed to your accommodation check-in point, which is noted on the property description. Please note your accommodation's check-in time. Early arrivals cannot be guaranteed and if arriving early or after hours we strongly recommend you call ahead. Security bonds may apply, please refer to the property description. Morning registrations for the Bunyip & Crèche programs commence fom 8:30am each morning. We highly recommend you arrive early to allow plenty of time to purchase tickets and register. It is highly probable you will experience delays if you arrive a few minutes prior to the commencement of the lesson. Children must have all equipment (skis, boots, helmet) and be dressed and ready to ski at the time of registration. Your kids will have a blast exploring the mountain with our team of specialist kids instructors in our half, all and multi-day programs. The full and half day programs include an unlimited lift ticket. All day program also includes 6 hours of learning, hot lunch, snacks and games. Multi-day programs includes ski/board race with medal presentation on Thursdays, and a host of other exciting activities. With the Children's Snowsports Progress Card you can monitor the progress of your child and know in which group to place them for optimal fun and learning. Build your confidence with a two hour group lesson. 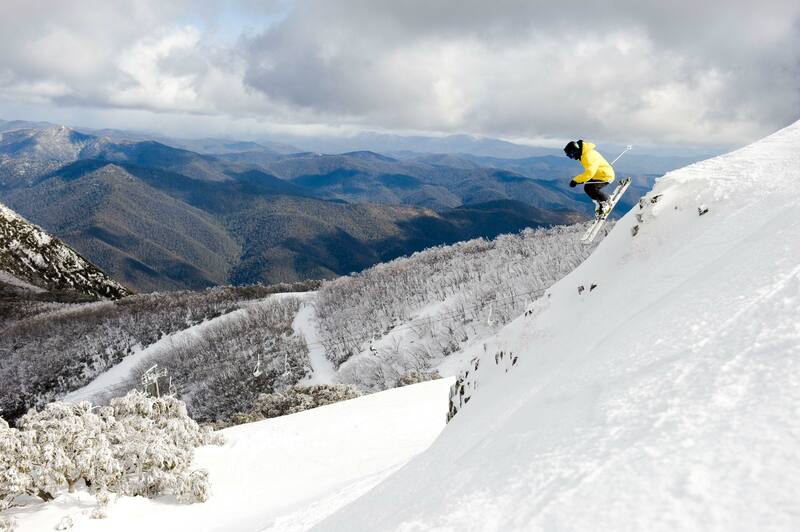 Mt Buller's team of instructors are dedicated to giving you the best possible experience for you to learn and progress your skiing and boarding level quickly. Lessons are offered daily at 10am and 1.30pm for both Beginner* (green zone) and Intermediate (blue zone) skiers and boarders. Ski Lessons meet directly outside the Ski School Building, while Snowboard Lessons meet at the top of the Blue Bullet Chairlift. *Pricing and Lesson Times based on 2018, to be used as guide only. ATM There are two ATM's at Mt Buller. One ATM is located in the Village Square, and the other ATM is located in the entrance of Alpine Central. Free Wi-Fi The Village Square Plaza offers free Wi-Fi for visitors in 20 minute blocks per 24 hours. Lockers Lockers are available at various outlets for hire. Black Mountain Equipment, George's Ski Hire, Buller Sports Central and Ski School have lockers available to hire. Supermarket Located in the heart of the Village centre, Buller Grocer is a licensed supermarket open seven days a week. Free Shuttle The free Village shuttle operates around the resort from 8am to 6pm daily with various pickup/ drop off points on three routes. The free car park shuttle transports day visitors without luggage from the car parks to the Village, a continuous daily service. Guest Services Answering all your questions across the mountain there's nothing they won't be able to help with, look out for them in bright yellow Mt Buller jackets. Buller Kids' Centre & Creche Located in the Ski & Snowboard School building on Bourke St, the Kids' Centre offers 1/2 and full day child minding services. The average temperature in Australia over winter is -4°C, therefore it is imperative that you pack a number of layers to stay warm during your stay. Layers. Start with a tight-fitting, breathable, non-cotton under-layer, then build outward with sweatpants, a light sweater or sweatshirt, and top it all off with a fleece that can be worn under an outer waterproof shell. Waterproof or water-resistant snow pants and jackets. Eye protection. Don't overlook protecting your eyes from the sun, snow-glare and the elements. Goggles and sunglasses are a must for the entire family. Waterproof mittens or gloves, glove liners, hats and neck gators or scarves. On snow days you'll definitely want a way to cover your entire face while skiing or riding down the mountain! Hat Especially for the more fashion-conscious teenagers traveling with you, helmet-head can be easily disguised with a beanie during lunch and après ski. A small backpack that can be left in a slope-side locker during the day, or that one member of the family can wear on the mountain to hold a bottle of water, sunscreen and other daily must-haves. A Youth I.D. Card for each of your children. In case your child zigs when you zag at a trail merge, we encourage you to fill out an I.D. card, stuff it in their jacket pocket, and instruct your child to present the card to any Resort employee if they become separated from you at any point during your stay. Helmets We strongly recommend that you wear one. They’re comfy, warm and a great way to stay safe. 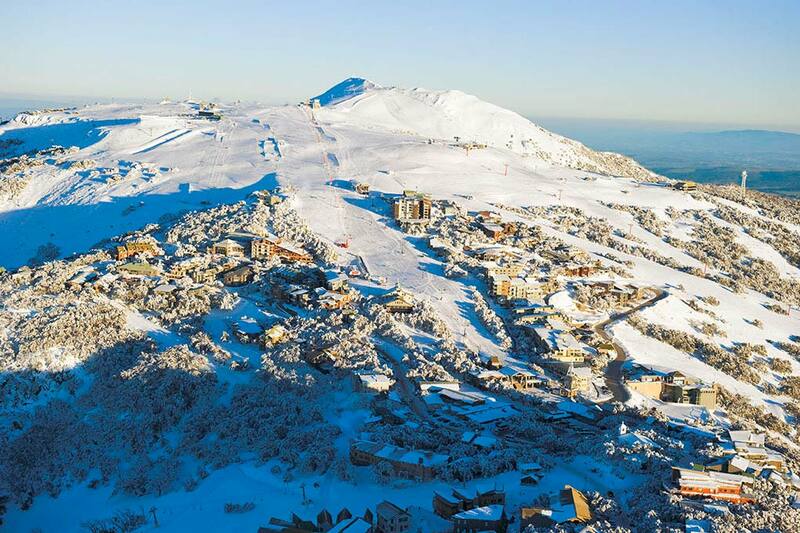 Buller Holidays Pty Ltd (ACN 165 086 126), on its own behalf and as agent for Buller Ski Lifts Pty Ltd (ABN 25 153 985 829) (collectively the Supplier) offers you use of recreational services (Recreational Services) at the Mount Buller Alpine Resort (the Resort) on the terms and conditions (Conditions) set out in this notice. The Recreational Services are all services provided by the Supplier associated with the use of the snow slopes and the mountain for recreational activities including but not limited to skiing, snowboarding and sightseeing. The Recreational Services include, but are not limited to, the provision and operation of ski lifts, snowmaking, snow slope design, construction, maintenance and grooming, hazard assessment and mitigation, skiing and snowboarding lessons, equipment rental, retail products and the operation of the ski patrol. You may accept this offer by purchasing a BTag, ski lift access product, using a BTag, topping up a BTag, hiring equipment from the Supplier, purchasing or participating in lessons offered by the Supplier or using or making use of any of the Recreational Services. If you do any of these things, you have accepted this offer and are bound by the Conditions. 1. You must purchase a BTag and ski lift access product for the days on which you wish to ski, snowboard or mountain bike at the Resort. Prices are displayed at the Resort and on the Supplier's website. If you rent equipment or enrol or participate in skiing or snowboarding lessons, you must also pay the applicable price. Even if you fail to purchase a BTag or to pay an applicable fee, if you use any of the facilities at the Resort or make use of any of the Recreational Services, by such use you agree to and will be bound by these Conditions. expressly or by implication, to the Supplier or because they failed to achieve any result reasonably expected by you which you, expressly or by implication, made known to the Supplier or for breach of any other consumer guarantee of the Australian Consumer Law (Vic) or of the Australian Consumer Law (Cth). 3. You acknowledge that Recreational Services and associated recreational activities are dangerous with many risks and hazards and as a consequence personal injury (including serious personal injury) and sometimes death can occur and you assume and accept all such risks and hereby waive the right to sue the Supplier, its employees, directors and agents, for any personal injury or death suffered by you in any way whatsoever caused by or arising from your use of such services or your participation in such activities. 4. You acknowledge that the Supplier strongly recommends that all skiers and snowboarders wear accredited helmets and recommends that all snowboarders wear wristguards. 5. WARNING: If you participate in these activities your rights to sue the Supplier under the Australian Consumer Law & Fair Trading Act 2012 if you are killed or injured because the activities were not supplied with due care and skill or were not reasonably fit for their purpose, are excluded, restricted or modified in the way set out in paragraphs 2 and 3 of this sign. NOTE: The change to your rights, as set out in or on this sign, does not apply if your death or injury is due to gross negligence on the Supplier's part. ‘Gross negligence’, in relation to an act or omission, means doing the act or omitting to do an act with reckless disregard, with or without consciousness, for the consequences of the act or omission. See regulation 5 of the Australian Consumer Law & Fair Trading Regulations 2012 and section 22(3)(b) of the Australian Consumer Law & Fair Trading Act 2012. 6. You must comply with the Alpine Responsibility Code and all signs or other directions of the Supplier. It may suspend or cancel your BTag and access to Recreational Services at the Resort in its absolute discretion for non-compliance with the Code, these Conditions, or for reckless or careless conduct. 7. You must carry your BTag in or on your ski jacket at all times on the snow slopes which must be presented to the Supplier's agent upon request. 8. No BTag or access product can be resold, transferred or altered in any manner. They are valid only for the dates purchased. The Supplier will not refund or replace any BTag if you suffer any illness or injury or if any lift service is not operating. 9. These Conditions may be varied from time to time. The variations will be displayed on signs at the Resort and posted on the Supplier’s Website. 10. These Conditions are to be governed by and construed first in accordance with the laws of the Commonwealth of Australia and secondly in accordance with the laws of the State of Victoria. If there is any inconsistency, the laws of the Commonwealth prevail. The courts of Victoria have exclusive jurisdiction. If any provision is determined to be void, illegal, invalid or otherwise unenforceable it shall be deemed to be deleted and the remaining provisions shall remain and continue to be valid, binding and enforceable. 11. The rental of all equipment by you from the Supplier is subject to these Conditions and to the more detailed conditions set out in the rental agreement you are required to sign. If there is any difference or inconsistency between the two sets of conditions, the conditions on the signed agreement shall prevail. 12. If you purchase a BTag or access product or Recreational Service from the Supplier on behalf of another person, you make that purchase as the agent of that other person who is also bound by these Conditions and by using or making use of the Recreational Services such person acknowledges and agrees to the Conditions as if that person had read this sign and then made the purchase. You warrant that you have that person's authority to so bind them unless you purchase a BTag or access product or Recreational Service from the Supplier on behalf a child (under 18 years) in which case you agree to fully indemnify the Supplier for all loss and damage it may suffer due to any legal proceedings being brought by or on behalf of that child against the Supplier, its employees, directors and agents, for any personal injury or death suffered by that child caused by or arising from his/her use of Recreational Services or participation in recreational activities.